Weekends are good for the soul in so many ways, and for me, gardening plays a big role. 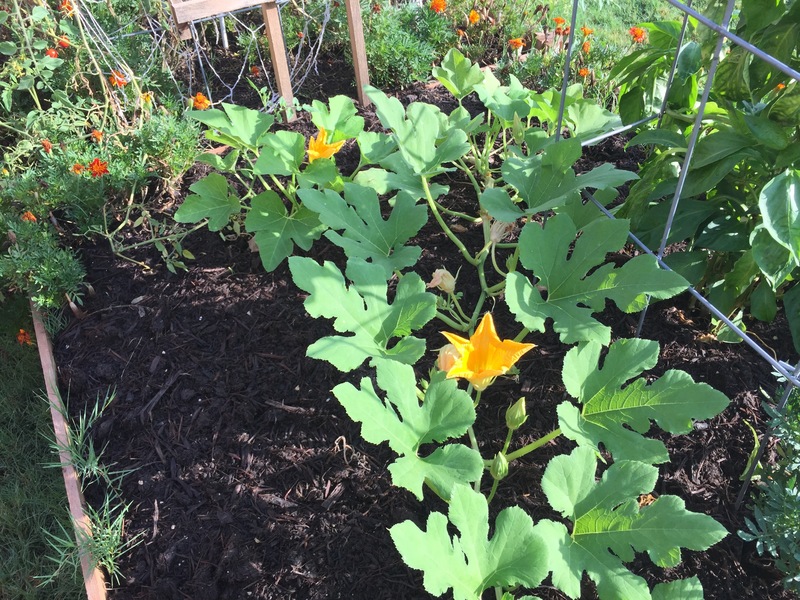 Like this morning, when I walked out to see beautiful yellow flowers on Wanda and Cosmo, my two pumpkin plants. During the week, I don’t often have time to walk out to the garden before work, so I miss the things that only happen in the hours after sunrise. Like flowers opening on pumpkin plants. 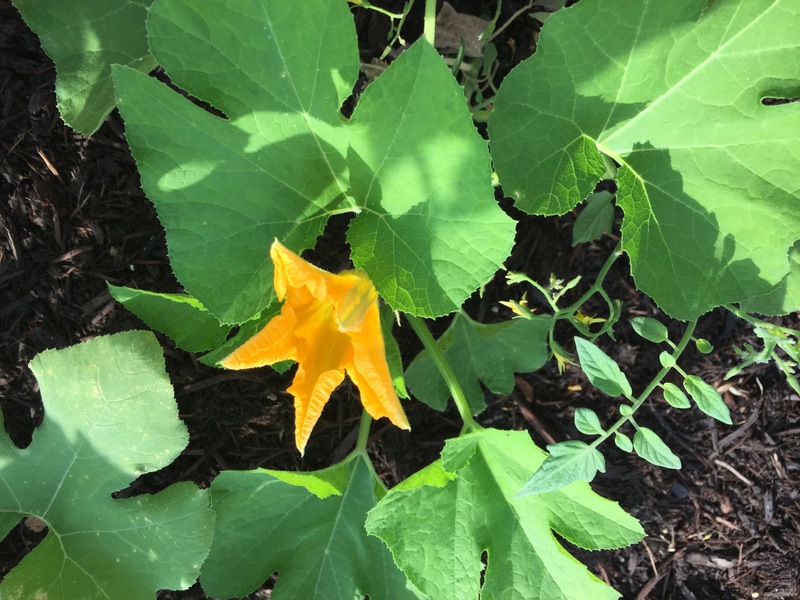 The golden flowers are motivation for me to set aside some time this long, holiday weekend to clean out the raised beds around The Fairly OddPumpkins and make more room for their vines, which are stretching out rapidly. Of course, one bed also will become home to my fall tomatoes, some of which probably would do better if I got them out of their pots. 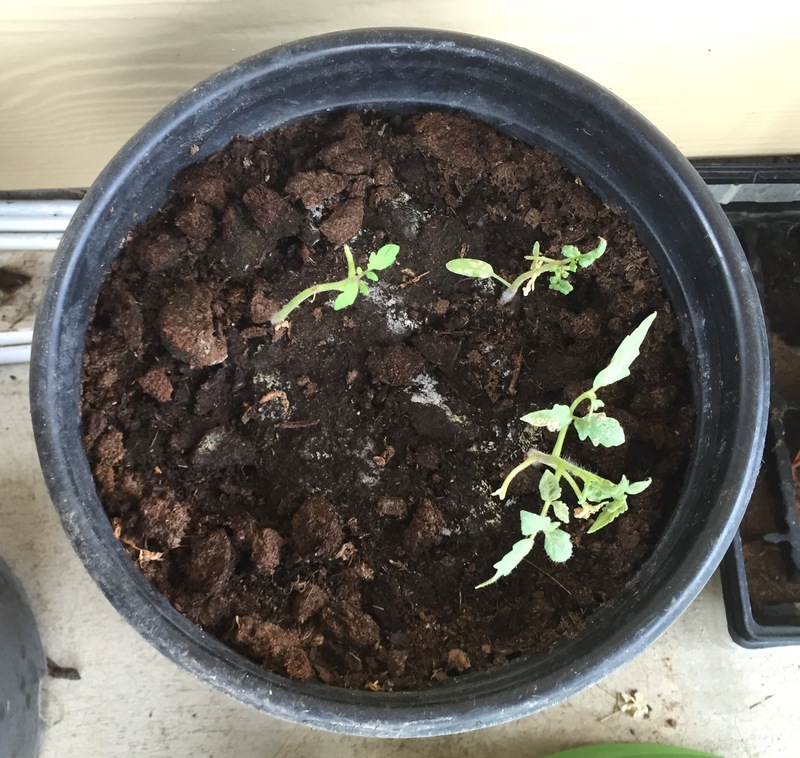 It’s promising that all three of the big tomatoes (below) now appear to getting more green leaves on them. I might just transplant the biggest one into a raised bed and coddle the smaller two in the peat a couple weeks more. They just might do better once the high temperatures fall to the upper 80s/low 90s and rain chances are more plentiful. 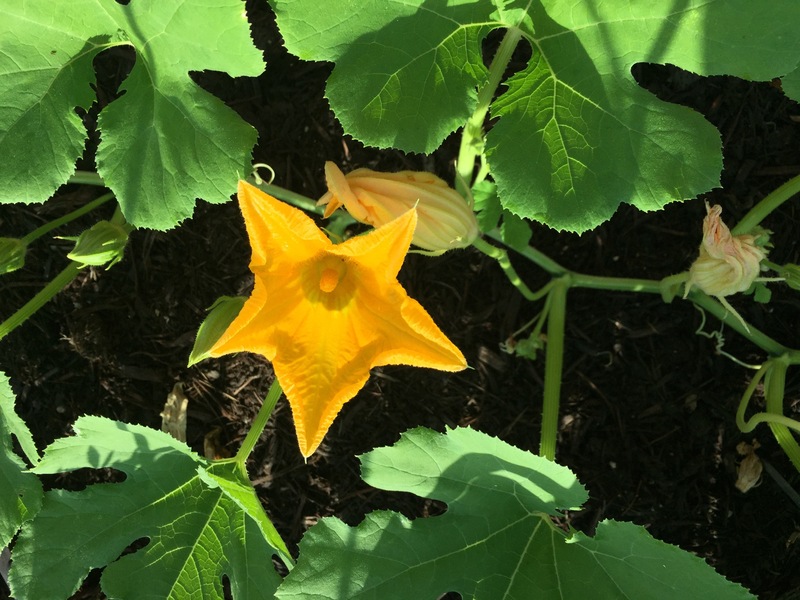 This entry was posted in Gardening and tagged pumpkins, tomatoes on September 5, 2015 by Julie Riebe.